A lot of nice displays here. 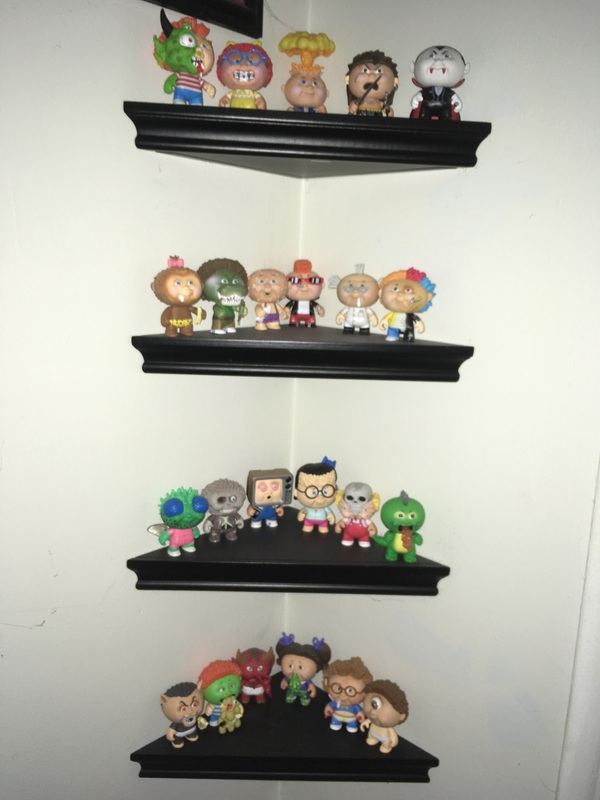 I have a few mystery minis that are a little top heavy and fall quite easily when they are displayed, has anyone dealt with this and is there a solution to keep them upright? Maybe some double sided tape? Just didn't want to mess up any paint. Vinyl4Blood wrote: there are some great mini displays in here. Gives me some ideas for improving ours a bit. 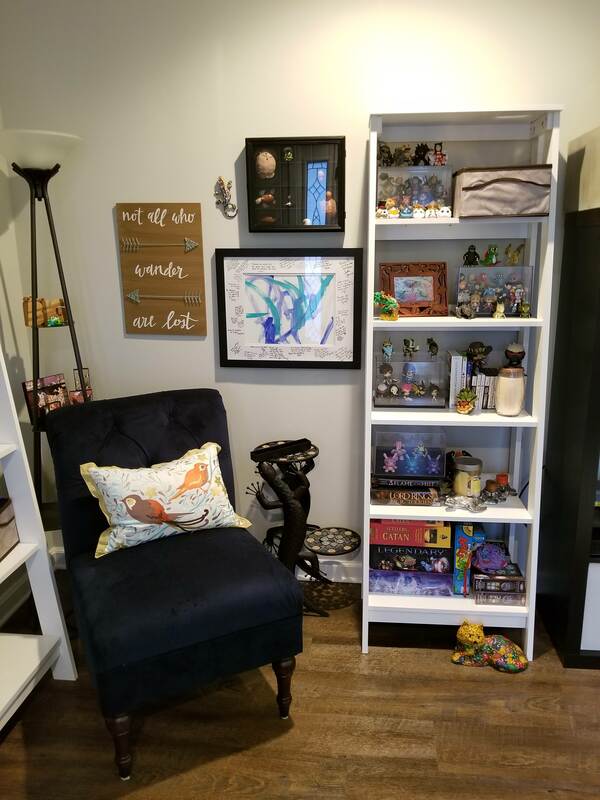 This,room is full to capacity, we might have to,build on to the house..
CaseyJones14 wrote: I've seen lots of people use the display cases from the Container Store so I went out and bought one to try it out and I love it! It obviously won't work for all mini sets, but it's pretty fantastic. I love that display. I'm looking at their website now for that container. Thank you for sharing! I'm planning an Ikea trip this weekend, and I hope they still carry these shelves. 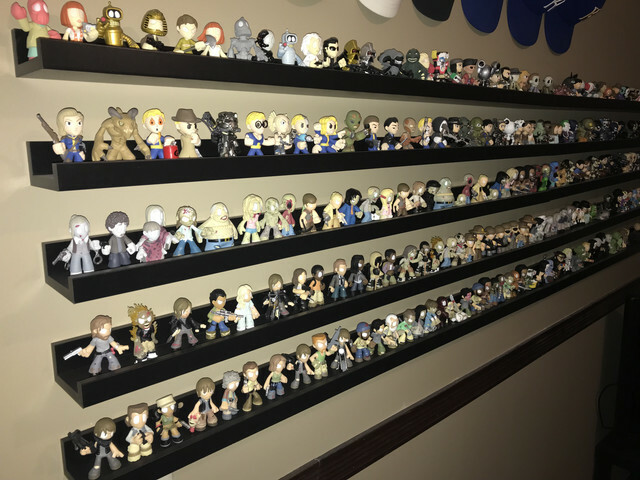 Are they large enough to display OOB pops as well? You have a wonderful display. Man I need something like this for my pops! 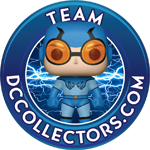 First time checking this out but there are a lot of great collections in here. These are sharp! I really like the white! I just stack cases. I need them inside cases because dust is such a pain to deal with. 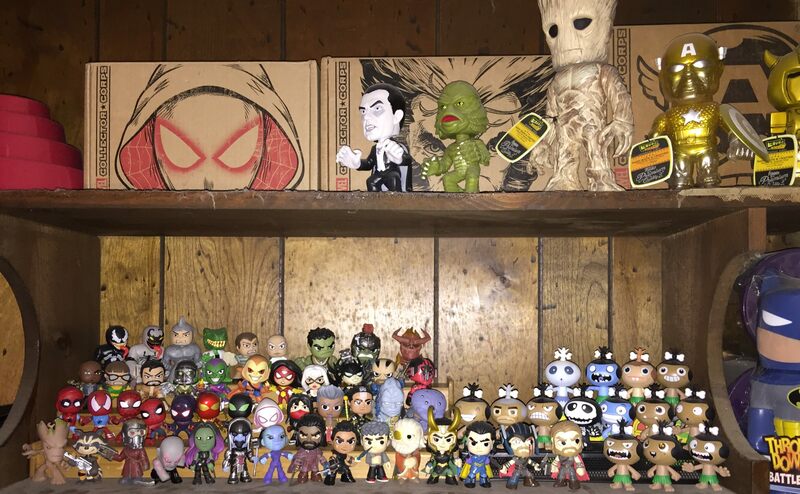 This is 1/3 of the collection, and the rest will go on another shelf next to this one. 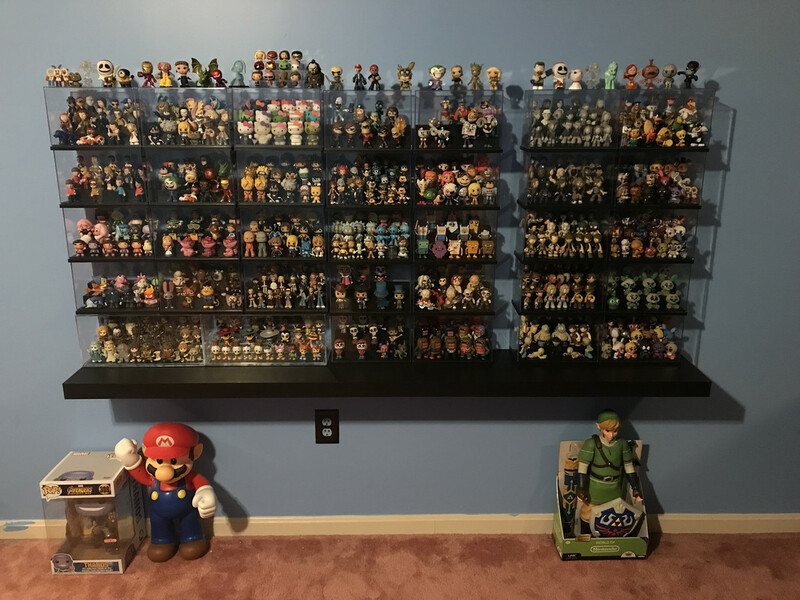 Complete on all sets achieved on February 24th, 2018. Come on in... You’ll love us! I must say that there are lots of people who are way more creative/inventive than I am on their display cases. Really impressive! Greymom wrote: I must say that there are lots of people who are way more creative/inventive than I am on their display cases. Really impressive! Yeah it is crazy the creativity people put in their displays. Cannot tell you how many times I have pulled casey . From buying at store to even online during a sale . I actually never found one, but luckily a friend sent me the mini and the proto! 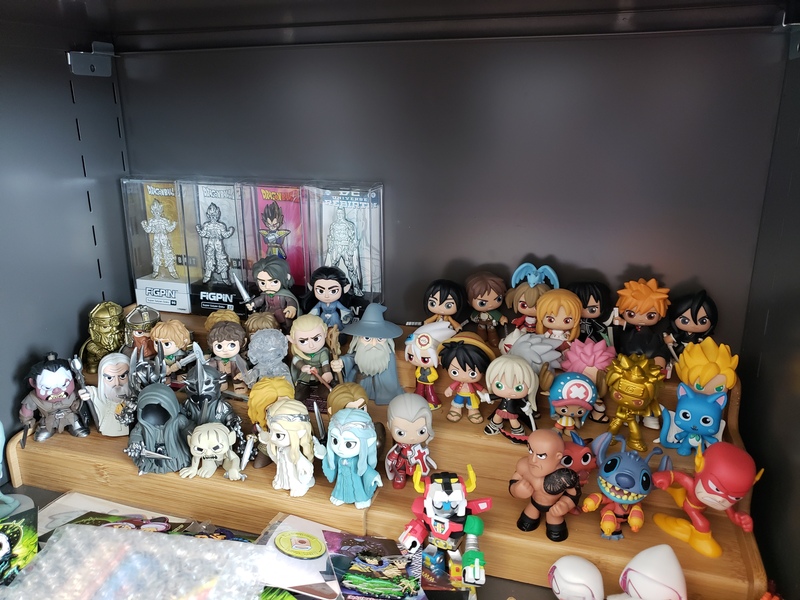 The others I use to have in a cube storage thing. 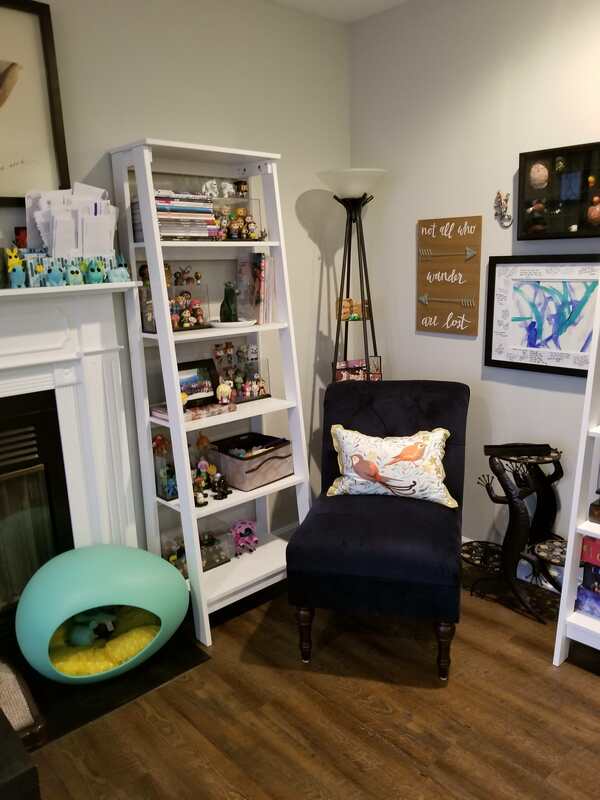 It was getting over-run though, so I moved them to a reading area and interspersed them with other collectibles and things. Mystery_Mini_God wrote: I just stack cases. I need them inside cases because dust is such a pain to deal with. 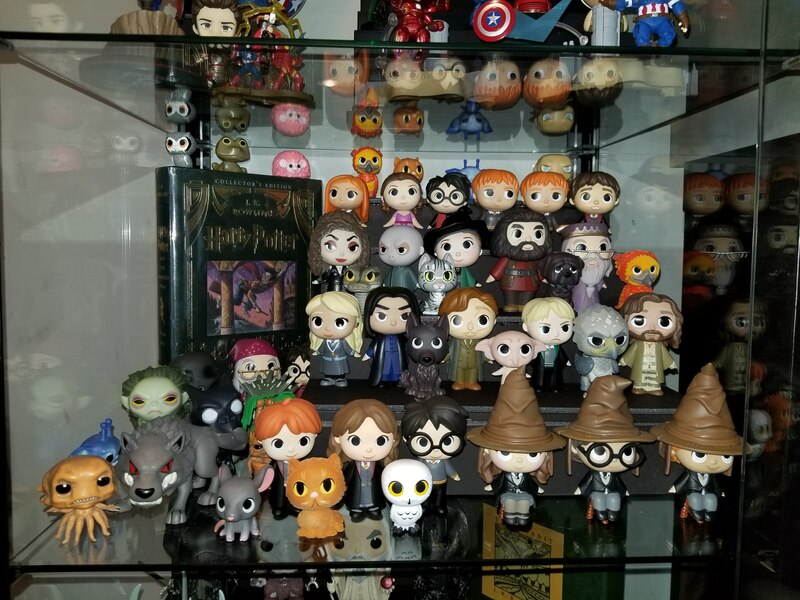 This is 1/3 of the collection, and the rest will go on another shelf next to this one. Love the huge selection! Congratulations on the awesome display!! That’s a lot of minis!! 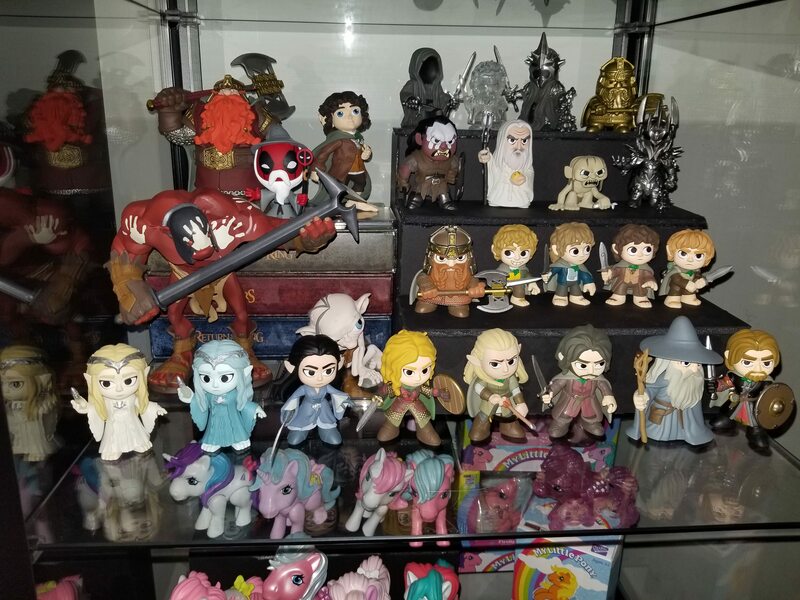 Approximately how many minis or psh could you fit in one display? All of these are amazing displays! Well done! 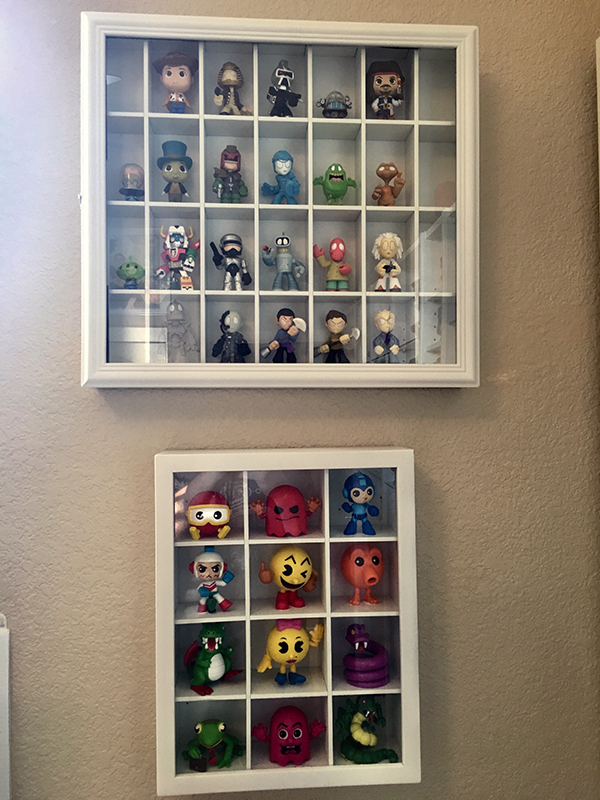 Nice display cases! Really like the way that looks. It’s a nice fit just like the baseball bat display for pops. 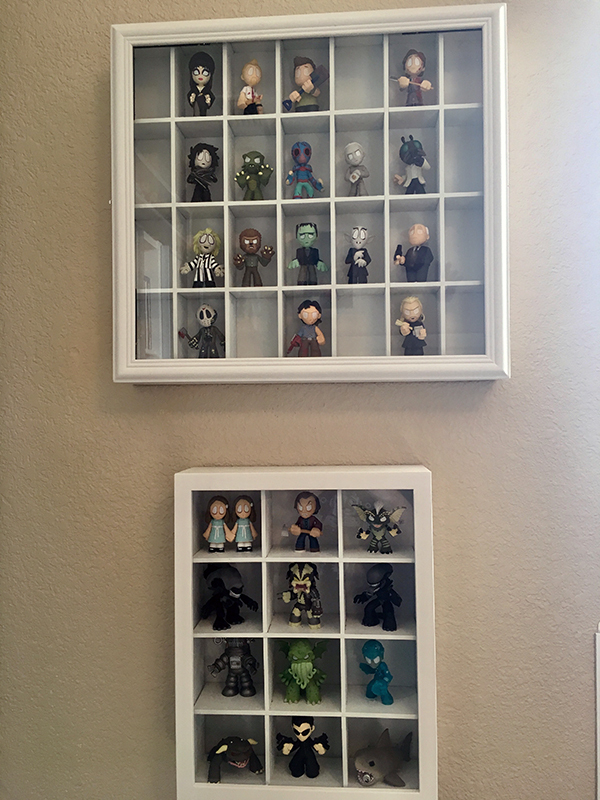 Nice display cases, I really like the black background .. really makes the minis POP out. SUCH A GREAT IDEA !!!! tHIS IS SOOOOOOOOOOO SMART AND PERFECT !!! WOW!!!! NOW THATS A TOY ROOM!!!!! 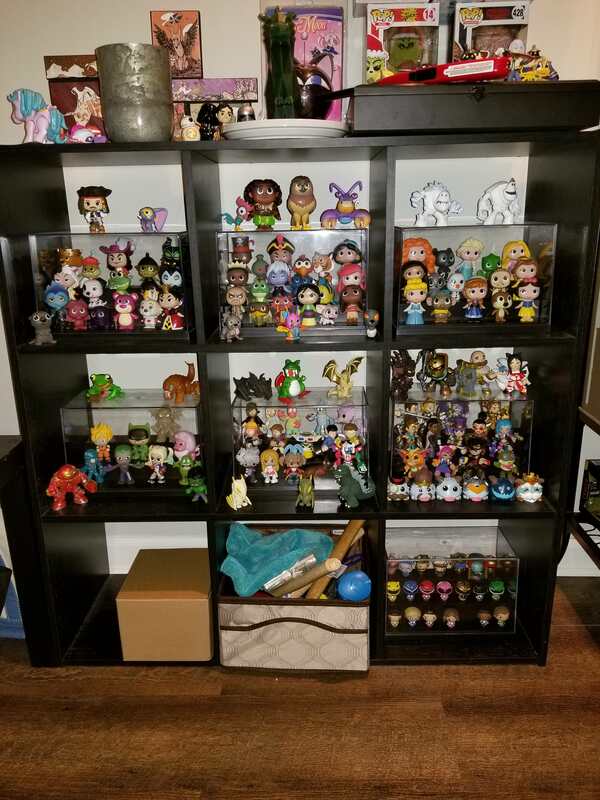 I,recently had to pack all this up since we are moving. 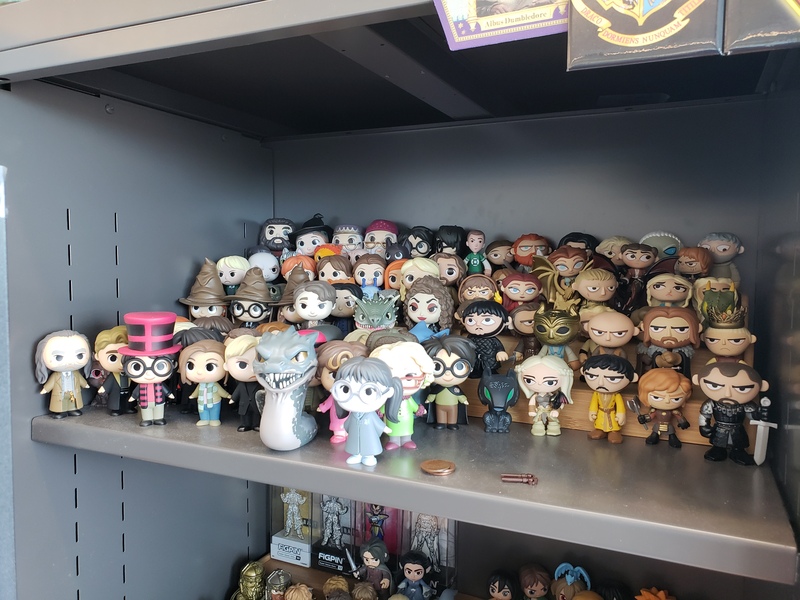 Packing 2000 pops and 600 minis wasn't fun at all. Those shelves look really great Wendy!! 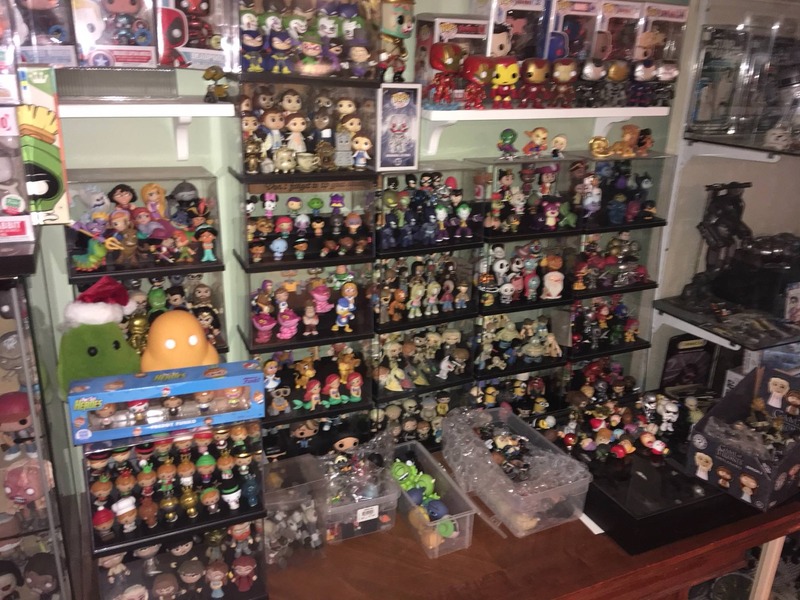 update for me I am out of room. I might sell of HP series never really liked the cutsey design but its HP so had to have. 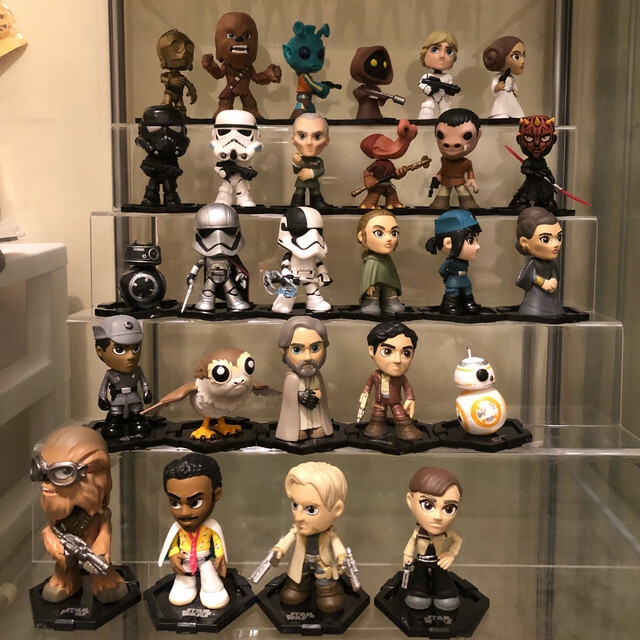 Always love seeing the growing collections! Sweet displays ya’ll!! So many mini’s with amazing details! 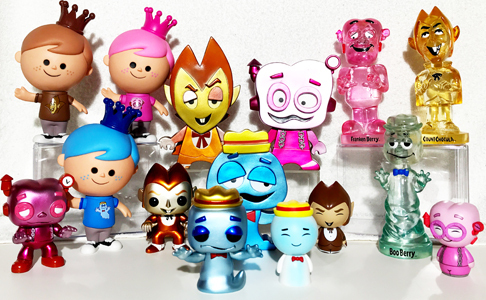 Funko has just been on fire with some of the newer releases!! Shalee04 wrote: This,room is full to capacity, we might have to,build on to the house.. I also use those, they work really well other than a few random minis that are bulky (like Lizard from Spiderman, or Bandersnatch from Alice in Wonderland). I recently got into woodworking and will be making a few things based off the ideas in these threads. mini displays ftw!